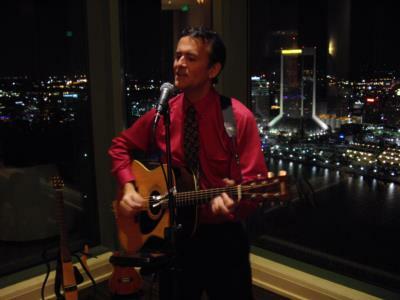 Let master musician and vocalist Pete Jock provide the perfect atmosphere for your next special event. Pete's offerings include inspired renditions of songs by artists such as Eric Clapton, James Taylor, Jack Johnson, Jimmy Buffett, Creedence Clearwater Revival, Bob Marley, Johnny Cash, Jim Croce, and The Eagles. His repertoire can vary from night to night, as he caters to the individual requests of his enthusiastic audiences. Your guests will be treated to timeless music that is performed live, without the use of prerecorded or preprogrammed backing tracks. Pete is a natural choice for events entertaining 25 to 150 guests. His stage volume is kept under iron-clad control, so your guests never have to shout to converse with one another. Countless listeners have found Pete's non-dominating presence to be a refreshing alternative to musical groups that feature high energy theatrical performances. 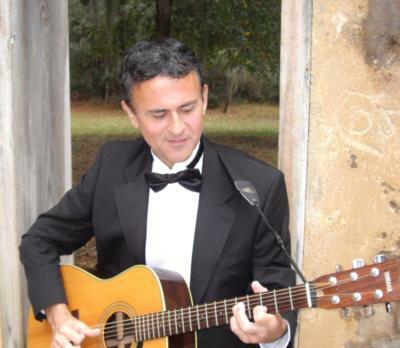 Pete also can provide both classical and contemporary guitar music for wedding ceremonies. Weddings on the beach are easily accommodated with a battery-operated sound system. A trusted name in the music industry with decades of experience, Pete Jock is a concientious professional that will help you make your special event a memorable success. Pete is not only a very talented musician, he was a pleasure to work with. He helped make our small wedding reception so very special - learning and playing songs that had sentimental value. He arrived early, gave a great performance and was a pleasure to work with throughout the entire process. I was a destination bride and had some trepidation about hiring someone that I had never heard in person, but I could not have been more pleased with the results. I would highly recommend Pete for your next event. He was wonderful. Great music selection, great guitar, great voice, polite, accommodating, thoughtful, polite. He played four hours without a break! Everyone enjoyed the music but he was not intrusive on conversations. Perfect. Working with Pete turned out to be a real dream come true. He always answered emails promptly and was very easy to communicate with. We requested a dozen or so songs that were not on his playlist and he learned them all in a matter of weeks and played them perfectly! I cannot express enough how impressed everyone was by Pete's talent and professionalism. We also really liked how he could play classical guitar for the ceremony, and then go right into great contemporary music for the cocktail hour. Pete is definitely at the top of our list for our next event. You will not be disappointed when you work with Pete. Thanks again! My friends and I are so pleased to have discovered Pete Jock! He is talented, versatile, accommodating, professional and kind. We hope to call on him again! Very satisfied with Pete Jock. All ratings 5 star. I would recommend him if asked. We all enjoyed his music. Pete Jock was exactly what we were looking for when hiring a musician for our commitment ceremony. Pete was happy to preform at our ceremony, even though we contacted him two weeks before the event! He had a great song list & songs that I requested not on the list I'm sure he would have learned, but he kindly responded saying that because the ceremony was so soon he might not be ready to perform them...COMPLETELY understandable. He was booked to play from 5:30-8:00, but he arrived early to meet us, alotted plenty of time to set up & played until 9-9:30. He is an extremely talented musician & his performance was the perfect touch to our day! 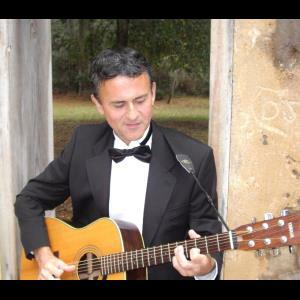 Please note Vocalist/Acoustic Guitarist Pete Jock will also travel to Beaufort, Coosawatchie, Lobeco, Dale, Sheldon, Daufuskie Island, St Helena Island, Port Royal, Tybee Island, Jacksonboro, Bluffton, Gloverville, Edisto Island, Seabrook, Savannah, Drayton, Hardeeville, Green Pond, Ridgeland, Wadmalaw Island, Yemassee, Hollywood, Furman, Adams Run, Scotia, Miley, Tillman, Crocketville, Eden, Johns Island.